Painting is underway on the 1967 Etype 2+2. 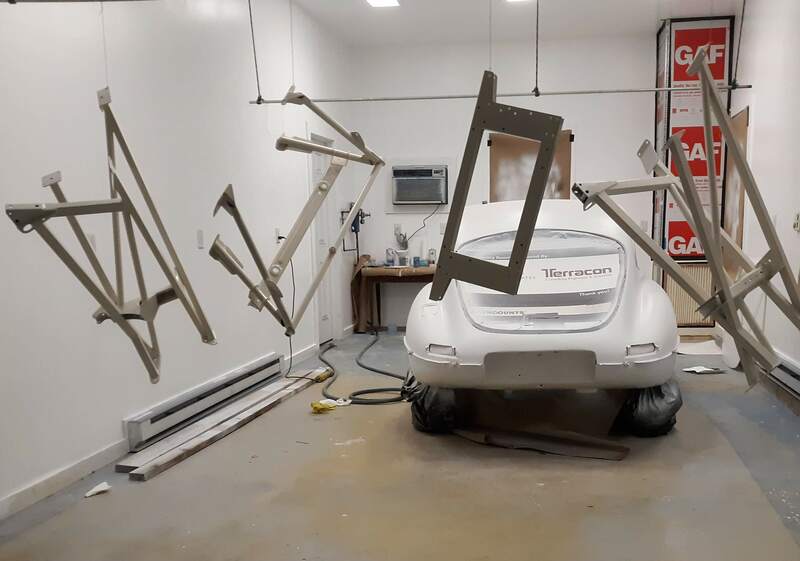 Blems on the body shell, doors, and rear hatch have been repaired and these pieces are coated in a bright white sealer coat. The 4 items that make up the engine and bonnet support frames have been painted with sealer, then the Old English White basecoat, and finally the clearcoat. I am working on the bonnet now. My goal is to basecoat/clearcoat all the remaining items on the same day, in order to avoid any possible color mis-match issues. BTW, my new cross flow air system is working beautifully. I am pleased!